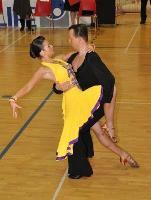 Vaino Miil & Kaia Linkberg started dancing together in 2008 (April) as Amateur for Estonia. Currently they are registered as a couple in Estonia. They dance in Senior . Their first competition that is recorded in our database was in Lithuania - Vilnius on 2008 (April). So far their best mark in our database is getting into 1 in the Senior I/II Open Latin (Tartu Tournament in Estonia - Tartu on Saturday, 08 December 2018). So far their best mark in our database is getting into 1 in the Senior I/II Open Latin (Tartu Tournament in Estonia - Tartu on Saturday, 08 December 2018). 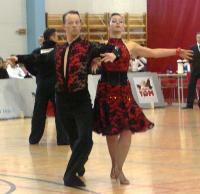 Their first competition that is recorded in our database was in Lithuania - Vilnius on 2008 (April). Vaino Miil & Kaia Linkberg started dancing together in 2008 (April) as Amateur for Estonia.